While the nation is anxiously watching for a decision on Janus v. AFSCME, a case before the U.S. Supreme Court that could determine whether government unions can continue to charge non-members a fee for representing them, a federal appeals court in California tossed out a case Monday that could have had even wider implications for teachers nationwide. The case dismissed Monday, Bain v. California Teachers Association, raises similar but distinct legal challenges as the Janus case. While Janus is focused on teachers who opt out of unions but are forced to pay agency fees, Bain dealt with teachers who wanted to remain union members but didn’t want to pay to support their union’s political efforts. The federal court’s Ninth Circuit dismissed the case as moot, because all of the original plaintiffs on the case have left their teaching positions in the three years the case has been pending and are no longer union members. But Josh Lipshutz, lead attorney for the plaintiffs, said the issues at the heart of the case are still relevant. He plans to file a new lawsuit with a different plaintiff. “This case appears to be finished. But it’s not as if we lost the case on its merits. We’ll just have to bring a new case on the same set of issues, with a different plaintiff,” said Lipshutz, who also represented plaintiffs in Vergara v. California, a widely watched case that challenged teacher protections like seniority rights and last-in-first-out hiring policies. 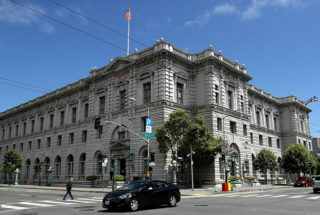 That case ended two years ago when the California Supreme Court declined to review an appellate court ruling that had overturned it. The lawsuit was filed on behalf of three California school teachers who argued the requirement that they pay a fee to support their union’s political efforts violated their constitutional right to free speech. Bhavini Bhakta, a former teacher and one of the original plaintiffs on the case, told the Pasadena Star-News in 2017 that she grew disillusioned by how her contributions were being used after she realized CTA opposed the issues she advocated for, like more detailed teacher evaluations. While CTA argues that teachers currently can opt out of political dues, plaintiffs said that doing so meant they were booted from the union and lost important rights and benefits, like the right to negotiate the terms of their contract, free representation during employment disputes, and better pay during maternity leave. A lower court dismissed the lawsuit in 2015 in part because they said it failed to convince the court that the union was acting as an arm of the state by compelling members to pay political fees. Because California law grants unions exclusive bargaining rights, plaintiffs argued that the union was effectively acting as an arm of the state. The court disagreed, and the plaintiffs appealed late last year. About 35 percent to 40 percent of the dues members pay go toward political efforts, like donations to candidates and lobbying efforts, according to the lawsuit. So if a CTA member paid $1,000 a year in dues, about $400 of it would go toward political purposes. The rest goes to bargaining-related expenses. Wells of the CTA disputed the figures provided in the lawsuit and estimates that the actual portion of dues that goes directly for political purposes is closer 11 percent. Teachers unions have braced for the impact Janus could have on their membership, but Bain may have had an even bigger impact. While Janus applies to the 22 states that require workers to pay “fair share” fees, Bain would have applied to all 50 states. And even though Bain has been defeated, Lipshutz said the issues it challenged are still outstanding. He plans to file a similar lawsuit, possibly with the American Association of Educators, a non-union organization of educators, as plaintiffs. “Janus is great for teachers who want to opt out of unions and want nothing to do with them. But there’s arguably a larger class of teachers who want the benefits, who want to serve on policy-making committees in their districts, but don’t want to be put to the choice of all or nothing. Without Bain, teachers will still be put to that choice,” Lipshutz said. This article has been updated to clarify that the estimated portion of union dues that go toward political purposes comes from the Bain lawsuit. It also adds the CTA’s response to those figures. Posted in Accountability, Advocacy, Department of Education, Every Student Succeeds Act, Failing Schools, Janus, No Child Left Behind Act, Pension & Salary, Students and Parents Protest, Teacher Shortage and tagged "Standing Strong for Public Education", #iBelieve, Accountability, Accountability System, Advocacy, Department of Education, Diversity, Education, Education Funding, English Language Learners, Equity, Every Student Succeeds Act (ESSA), Failing Schools, Federal Education Policy, High-Needs Students, NEAExecutiveCommittee, Pension, Pensions, Public Education, School Choice, State Budget, Students, Testing and Accountability. Bookmark the permalink.